Posted 18th May 2017 & filed under News. The hearing concluded on 18 May 2017 after 4 days of evidence, cross examinations, and closing submissions from John Hendy QC on behalf of the NUM, the barrister for the 1st respondent UK Coal Kellingley in liquidation (who is paying their bill?) and the barrister for the 2nd respondent the Secretary of State. 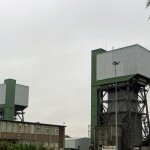 A favourable decision should cover everyone made redundant from Kellingley since the issuing of the HR1 and section 188 letter on the 1 April 2014. The 1st respondent (although it will not cost them a penny as they are insolvent and don’t have any money) are seeking to limit any payment from a successful outcome to those who were made redundant in December 2015. The case is subject to a reserved decision and the Tribunal panel will not get together (due to a backlog of cases) until July so a decision is not expected until the end of July/early August. Posted 16th January 2017 & filed under News. Trade Union legislation allows people to complain about the union using the legislation and dealing with this can be an onerous task for the union. 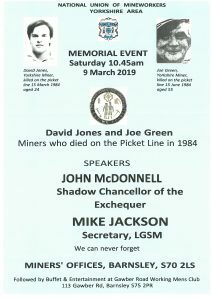 This is the reality of trade unions today, perhaps miners can remember, those who spoke out against using the so called ‘Tory legislation’ to attack trade unions? Posted 31st March 2016 & filed under News. 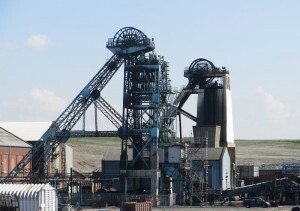 The Newcastle Employment Tribunal sitting in North Shields 30 March 2016 heard the NUM Yorkshire Area case for a Protective Award in relation to miners who lost their jobs with the closure of Hatfield Colliery in 2015 and decided that a Protective Award should be given. 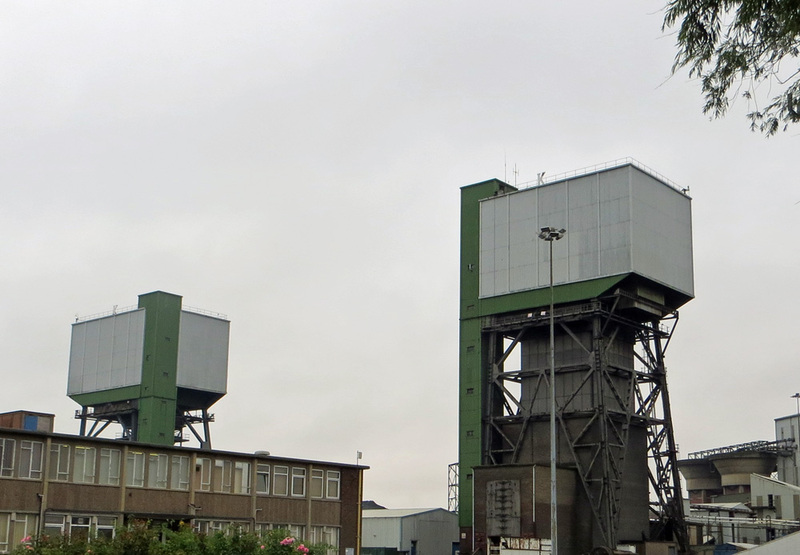 The case started in Yorkshire in August 2015 and despite the closure of all mines in Yorkshire the NUM has continued the case to a successful conclusion. Chris Kitchen said that this award could put up to £1.7m back in the pockets of Hatfield men and the NUM would continue to campaign on the many issues still outstanding in relation to the mining industry. The NUM Legal Officer Harry Eyre, who led the case, said that this was a clear breach of section 188 of TULRCA and therefore those who are entitled to the maximum award will be awarded £3,800. Posted 30th March 2016 & filed under News. Despite the devastation caused by the closure of deep coal mines NUM members increased the majority to retain a Political Fund. Posted 10th December 2015 & filed under News. Yvette Cooper MP called on the Government to treat men at Kellingley fairly as they have saved the Government £’millions by continuing to work through a ‘managed closure’ yet they are rewarded by finishing with a redundancy payment which is a third of what men finished on 27 years ago! Click here to read the debate. Posted 27th May 2015 & filed under News. Every year more people are killed at work than in wars. Most don’t die of mystery ailments, or in tragic “accidents”. They die because an employer decided their safety just wasn’t that important a priority. Workers’ Memorial Day (WMD) commemorates those workers. 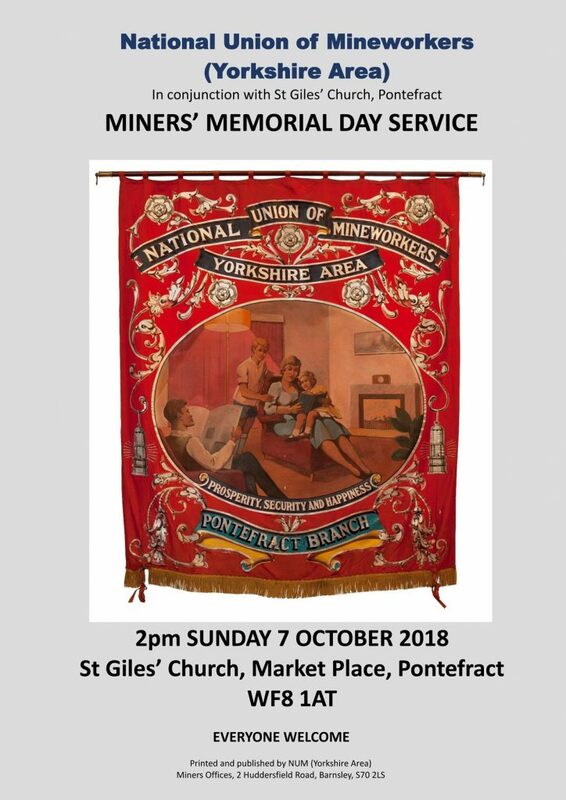 Workers’ Memorial Day is held on 28 April every year, all over the world workers and their representatives conduct events, demonstrations, vigils and a whole host of other activities to mark the day.